Although I haven't yet experienced an ice-sculpted building in person, it is one of the things I would love to try - if only once. Here is a peek at the beautiful ice building in Kiruna, Sweden. 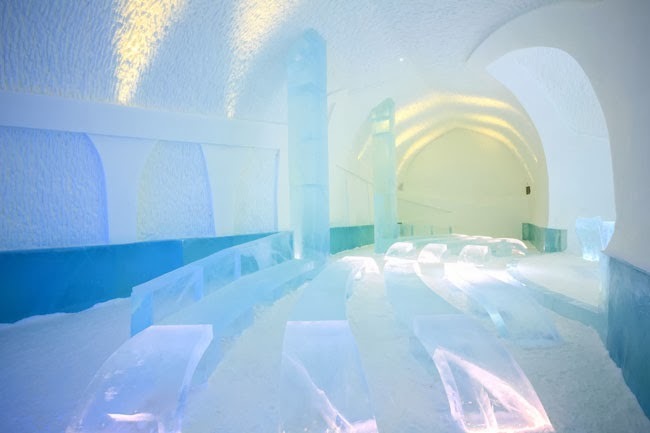 For more about ice hotels, check out this link. PS: I'll be back with more skin care tips, articles about ingredients, case studies, product development, giveaways and more in the new year – promise!